I-35 was closed after a truck hit the beam of a bridge that was under construction. 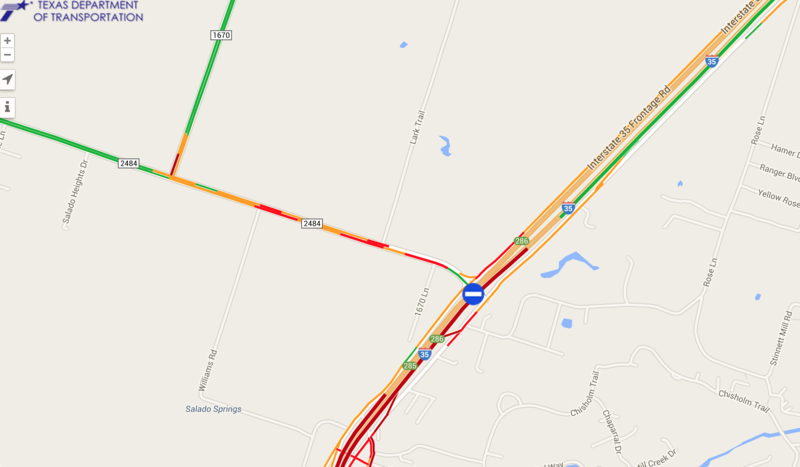 This image shows the traffic around the area at 2pm. Traffic along I-35 at 2pm today. The blue marker is the site of the bridge collapse. I-35 is closed in both directions just south of Salado, a town about 60 miles north of Austin, after an oversized tractor-trailer struck the FM 2484 overpass bridge under construction. The Texas Department of Transportation says the impact caused several beams to fall onto the highway. "I-35 is one of the busiest corridors in this state, so this is a significant impact to traffic in that area," TxDOT spokesperson David Glessner says. "Most importantly, we want to make sure the roadway stays closed so people remain safe." One person was killed and three people were injured in the accident, according to the Texas Department of Public Safety. 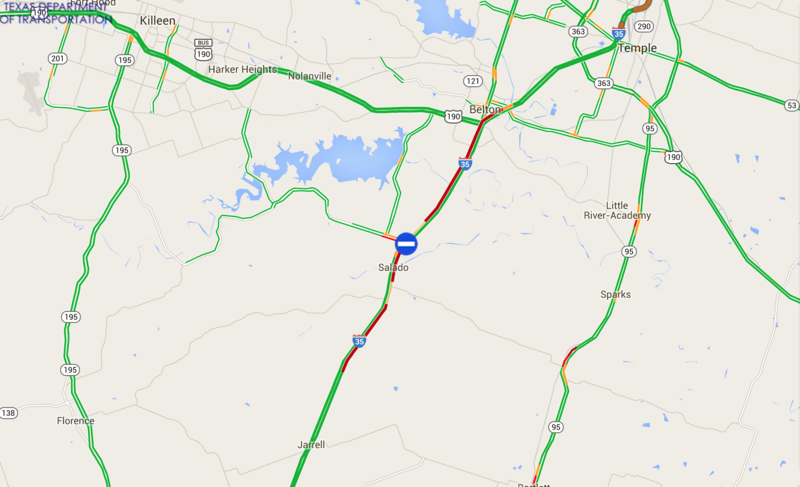 TxDOT offers this map of the crash location, traffic and detours. At this time, TxDOT officials say they don't have an estimate about when I-35 will reopen. TxDOT has offered these detour routes.